Bellway Homes have submitted revised plans, so this application will not be heard at the 10th April Area 2 Planning Committee as expected. Although this is an Outline Application only they have provided a “sketch scheme” to show how the site might now be developed (see below). We still expect the application for housing development at Lavenders Road/Swan Street/Eden Farm site to be heard at the TMBC Area 2 Planning Committee on Wednesday 10th April from 7.30pm at the Kings Hill offices. We do not know what the Council’s planners will recommend and how the Committee members will respond so it will be important to have good representation from the community. We have recently been advised that the application by Bellway for housing development on the Lavenders Road/Swan Street/Eden Farm site will NOT be heard at the TMBC Area 2 Planning Committee this Wednesday (27th February). We apologise for the short notice. We now expect the application to be considered at the next scheduled meeting of the committee, on Wednesday 10th April, although we cannot be sure until the agenda is published about a week before. We will endeavour to advise everyone as soon as we know for sure. Thank you. We still expect the Lavenders Road/Eden Farm application to go to the TMBC Area 2 Planning Committee on Wednesday 27th February. It would be good to have as many people as possible at the meeting. This Sunday (17th February) there will be a photo-opportunity for the Kent Messenger where we can again show the strength of local opposition to this development. Please meet at 11am at the junction of Lavenders Road and Swan Street. We have just heard that the Lavenders Road/Eden Farm application will most likely go to the next TMBC Area 2 Planning Committee on Wednesday 27th February. This page also shows the members of the Committee who will make the decision. Regardless of whether the planners recommend planning permission is granted or refused, it is important that the community makes clear its views. You can still submit comments if you haven’t yet done so (see 24/09/18 update below for details) and will be entitled to speak at the meeting. The applicants will almost certainly speak in support of their proposal. Even if you do not wish to speak, it would be good to have as many people as possible at the meeting to show the strength of local opposition to this development. ​The Parish Council’s Planning Committee met on 23rd October and agreed the Council’s response to this application. 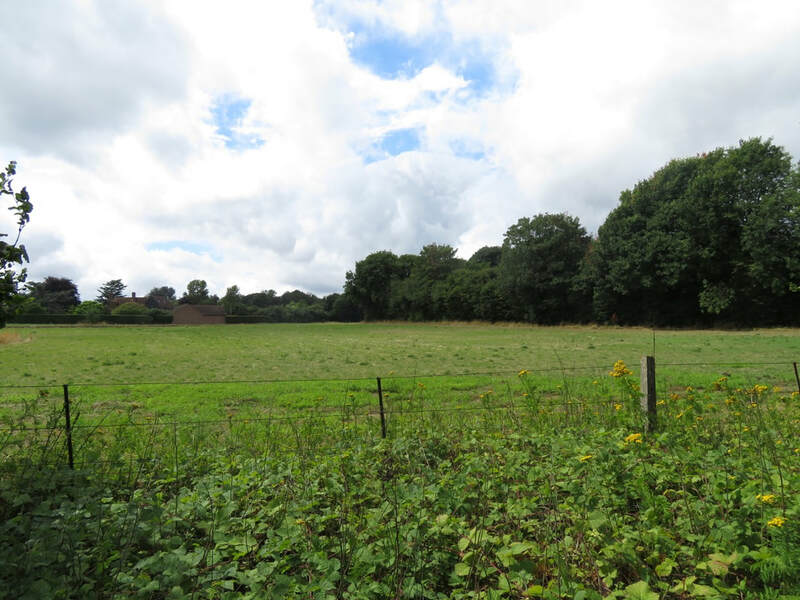 In summary our view is that development on this greenfield site will damage the rural character of West Malling. It would harm the setting of the ancient Abbey; disturb the peace of Lavenders Road - a designated ‘Quiet Lane’; and increase the already considerable traffic congestion and hazards on Swan Street. Additionally, permitting development on this site would undermine the new Local Plan which has been produced following two rounds of public consultation and is shortly to be submitted to the Secretary of State. Over 120 objections to this application have been lodged on the TMBC planning portal - a demonstration of the strength of local feeling against this proposal and the desire to protect West Malling from further urbanisation. You can read our full response below [PDF download] We would like to thank all those who took the time to register a response with TMBC. Please look out for further updates. Lavenders Road campaign (HD) from Richard Byatt on Vimeo. TMBC has informed us that the official deadline for comments on this application is Friday 19th October. The most important thing you can do if you are concerned about this proposal is to comment on the application via the Council’s online planning page (see link below). ​Tonbridge & Malling Borough Council has now received an application for this development. 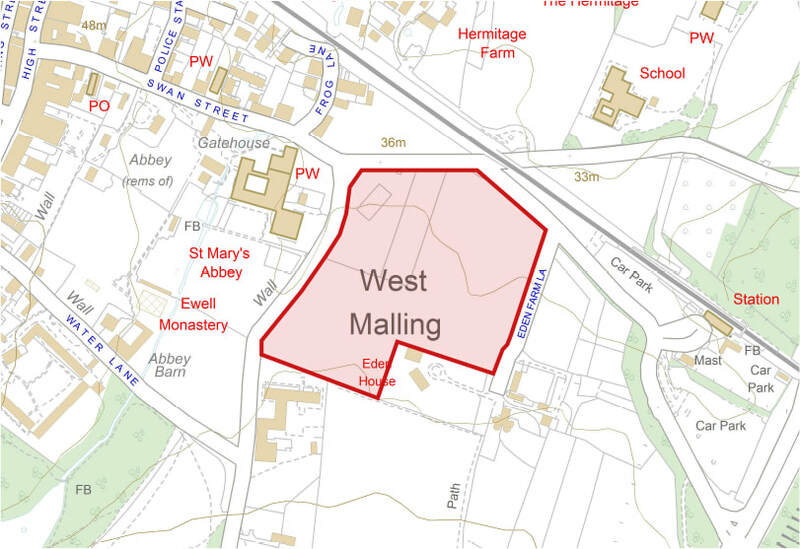 West Malling Parish Council will discuss the application at the next meeting of the planning committee (25/09) but will defer a decision on our formal response until the following meeting on 23/10 in order to gather more feedback from the community. As usual, members of the public are more than welcome at either of these meetings. Please let us know your views and be sure to make your comments to TMBC either using the online system or via email/letter. A meeting of those concerned about this proposal was held on Wednesday 15th August. Councillors Richard Byatt and Trudy Dean explained the context of the proposal and the initial response of the parish council (see below). At the time of the meeting 116 responses to the online survey (see link below) had been received, with 90 opposed to development on the site (77.6%) and 26 supporting it (22.4%). The PC is awaiting an outline application to Tonbridge & Malling Borough Council which will be open for public comment for six weeks (minimum). Any application will be considered by the planning committee and our response sent to TMBC. The application may be decided by council planning officers under “delegated authority” or by the area planning committee. 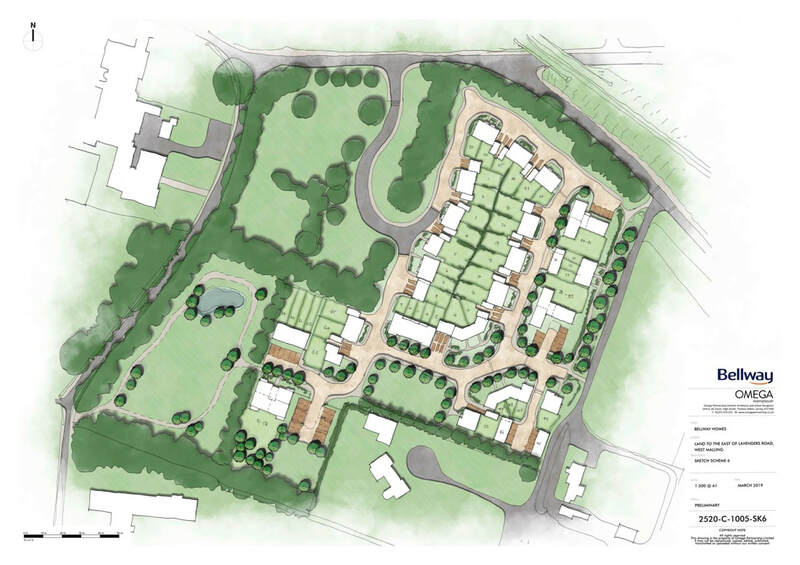 Bellway Homes intends to submit an outline planning application to Tonbridge and Malling Borough Council for the residential redevelopment of land to the east of Lavenders Road, West Malling. Be aware that, as explained on the website, “the layout and design is indicative and will be confirmed at a subsequent Reserved Matters stage.” This means that, having secured outline planning permission, the developers could bring forward a different scheme. When the Parish Council is notified of an outline planning application we will update this information.